Is the Nanny state crying wolf? Please excuse the mixed metaphors in the title of this post. I’ve found my self thinking about this regularly in recent weeks, prompted by two observations. I’m constantly required to slow down on motorways for apparently non-existent hazards. I don’t mind slowing down when it is obvious that traffic is building up or when there is likely to be congestion, but I’m increasingly finding that Matrix signs display a temporary speed limit for no apparent reason. I slow down, everybody else slows down. We drive for a few miles and then all speed up again. As well as increasing wear and tear on cars, increasing pollution and frustrating drivers, this has implications for safety. 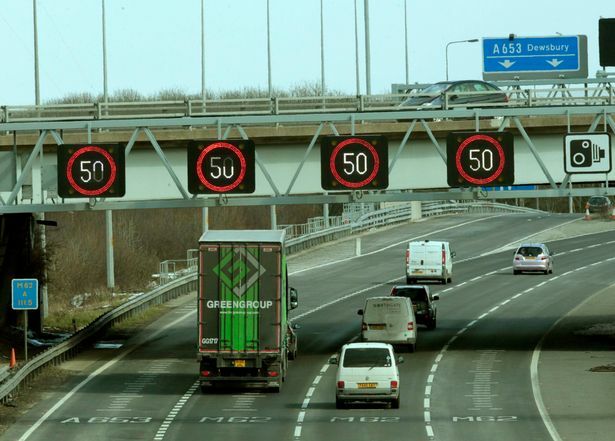 The more often this happens, the less notice drivers tend to take of the warnings, increasing the chance that when something actually happens and the signs are needed, people will ignore the warnings. The Met Office continually announces “yellow weather warnings” which fail to materialise. Over the last 2 weeks, the North of England must have had at least 3 or 4 warnings of hazardous conditions. These continually fail to materialise. 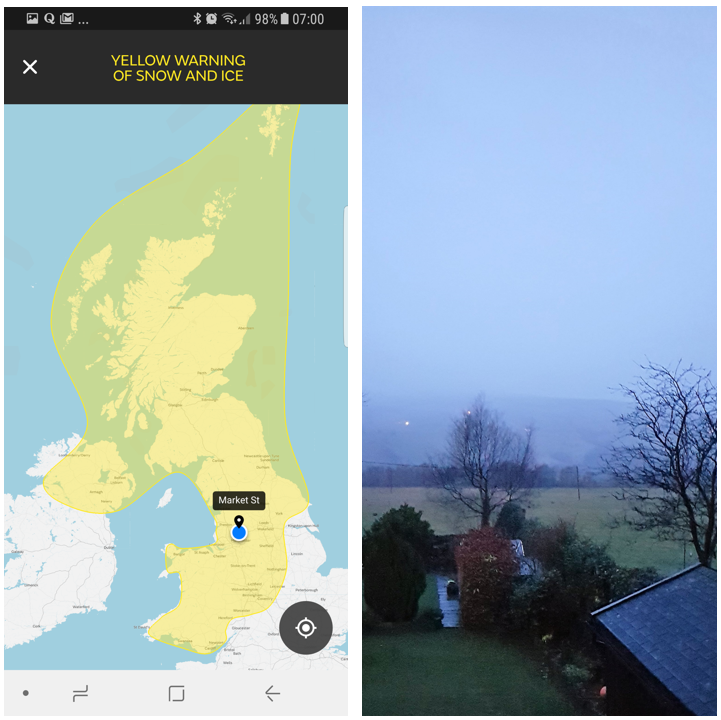 This is the dire warning on my phone one days last week, next to the distinctly “frost free” view from my bedroom window. The weather reality consistently fails to be as bad as the forecast. Although this is more of a frustration, than a hazard, unlike my first observation. It still annoys me.